Friday night used to be the night to get out in ATL. The vibe hasn't been the same for a while... until now! 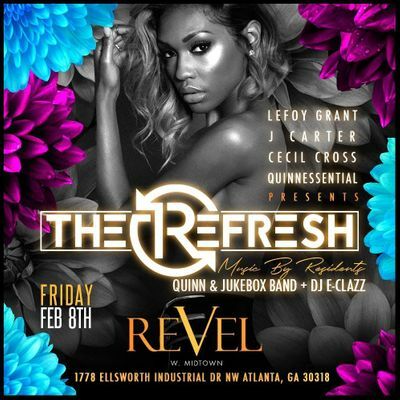 Join us Friday Night in midtown at Revel, for the kickoff of our new weekly event series -- **The Refresh** ! This is what Atlanta has been missing. A fashionably elevated, high-energy event with Live Music provided by Quinn & The Jukebox. Plus, special guest performances every week! Finally, something to look forward to at the end of your work week. Friday night is fresh again.